We have altered the side panels. Pray we do not alter them any further. 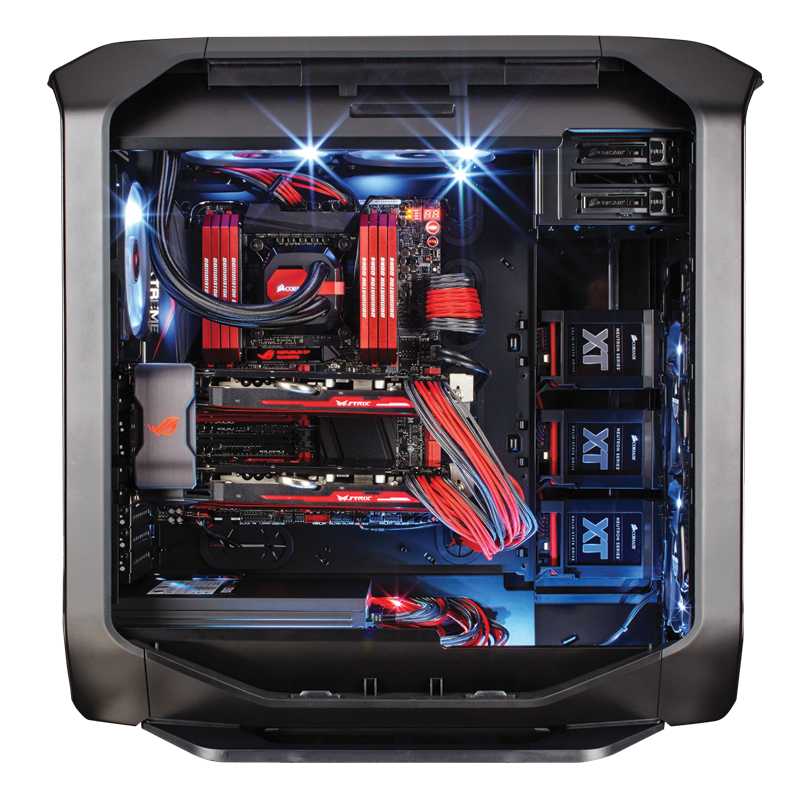 There’s lots of great black and red PC hardware out there, and there’s a reason: it looks cool. With the ASUS ROG™ boards being so popular, we decided to show off a sweet black and red build with awesome cable routing by adding a second windowed side panel to the back panel. The 780T side panels are swappable, so by just getting a spare part you can show off your elite cable routing skills as well as your Corsair Link™ Commander Mini.